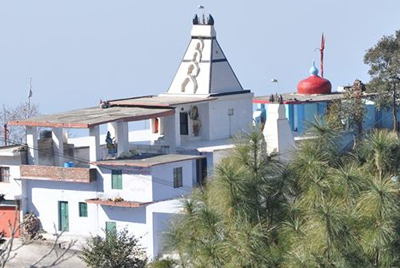 Located in the Nahri village of Kasauli, the Nahri Temple falls 6 km by road from the Kasauli bus stand. Dedicated to the Lord Shiva and Goddess Durga, the temple is believed to have been built some 150 years back. 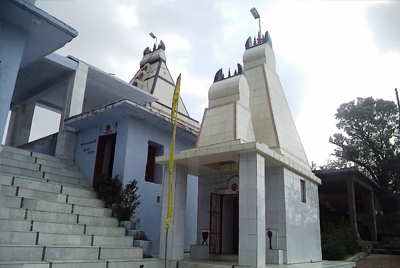 Also known as the Jantar Mantar Choo Mantar Mahadev Mandir, it is famous for celebrating Shivratri and Dussehra festival celebrations. It has beautiful idols of Lord Shiva and Goddess Durga, which are placed inside the temple. There is also a century old 'Bauri' nearby the temple that offers sweet clean water. There are plenty of visitors or pilgrims flocking this place every year to worship the almighty and find relief in its celestial atmosphere. One may enjoy the trip to Nahri temple by trekking the kuchha trek that begins from old Kasauli road and passes through the old cemetery. So, if you are in Kasauli, then you must keep this attraction in your bucket list.